Copa Comunidad is a celebration of fútbol and community among the Left Wing family of teams. We welcome people of all genders, all skill levels, and all abilities — especially folks who are traditionally not represented on the soccer pitch. Ours is a passing game, one where we strive to make sure everyone gets a touch on the ball, where we seek to help build each other’s skills, and where the score is always 2–2. All comers are welcome at Copa Comunidad, regardless of their ability to pay or register or whether they have ever played a Left Wing game.  The fee for Copa Comunidad Xícago 2018 is on a sliding scale of $40–$60. Commemorative t-shirts are not included in the reg fee; they will cost and additional $15 each. The fee may be paid in advance via Venmo to @LWXBrandon or Square Cash at #LWXBrandon. We’ll also accept payment at the event, or installment payments between now and the start of Copa. Contact us at lwxcopa@gmail.com to arrange for an installment plan or to work out another means of payment. Please consider lending a hand when you arrive in Chicago! Got a burning question? Want to send us virtual love? Email us at lwxcopa@gmail.com.